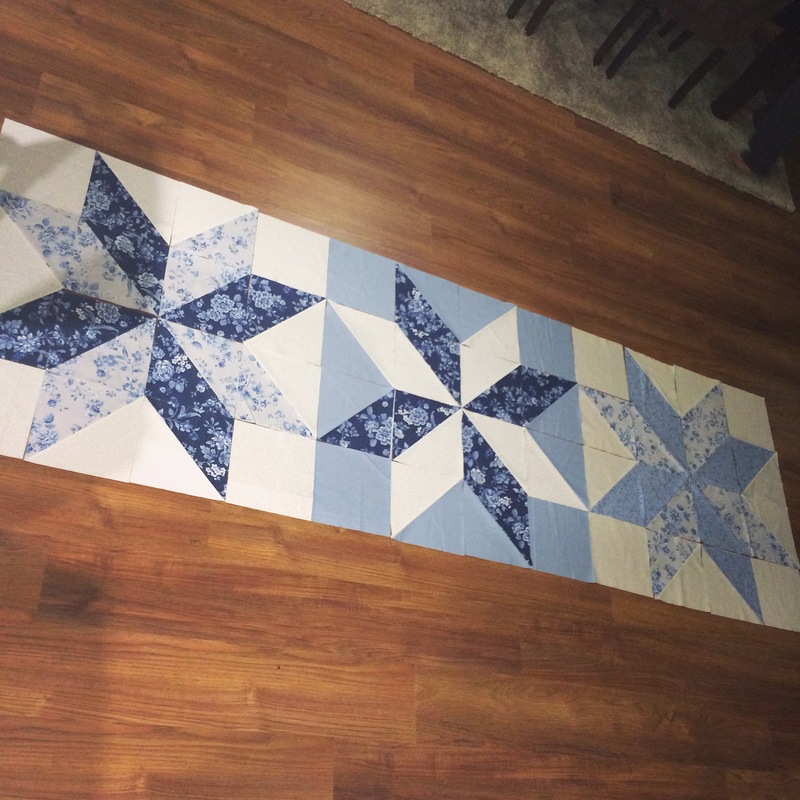 The start of my next order – a quilted bed footer using a starburst block. I’ve decided to change the layout though, the very left hand block has now been moved to the very right, so that the dark floral fabrics are separated. The light blue and light blue floral fabric will now be featured in the middle. This bed footer will feature at the bottom of a double bed. The recipient for this order loves floral fabrics, so I’ve used 3 feature floral fabrics, and 3 supporting fabrics. 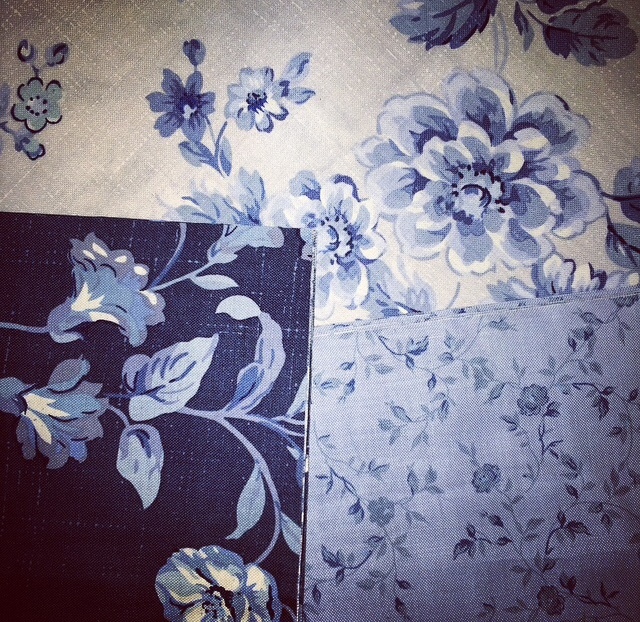 I especially love the dark blue fabric, which I think pops so well against the other florals. Beautiful! I love the fabrics you’ve chosen!